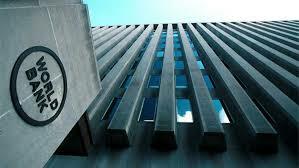 The World Bank on Tuesday held a workshop for government officials to acquaint them with the bank’s new environmental and social requirements for its financed projects in Nigeria. World Bank Nigeria Country Director, Rachid Benmessaoud at the workshop in Abuja, said the bank would apply the new Environmental and Social Framework, ESF, to new investment projects it finances from October. He said the new requirements seek to protect people and the environment from potential adverse impact that could arise from World Bank-financed projects and promote sustainable development. “Time and again, we have seen that investment projects are more sustainable and have a greater development impact when the environment is protected, and when communities and people are engaged. “The ESF is a great opportunity to work together with the Nigerian Government to strengthen its environmental and social systems, and help build the country’s capacity to implement programmes in a sustainable way and to achieve stronger results,” he said. He said also that the framework would assist the borrowing governments to manage certain environmental and social risks in investment projects proposed for World Bank financing support. Minister of State for Environment, Mr Ibrahim Jibril noted that the government was in support of any policy that focuses on environmental and social protection. “Many states in the country are being affected by climate change with significant impact on the environment. “The ESF is a welcome development as it will give us a chance to manage the effect of climate change or ignore it at our own peril,” he said.